The first throwing mechanics and fielding clinic was a great success. Thank You to those who attended. Visit my Facebook page to view pictures. Catching clinic this weekend for younger boys. Hitting and pitching dates listed below. Time is almost up for the summer special on Video Analysis. 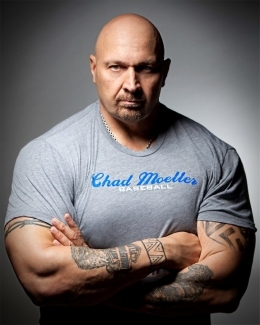 Chad Moeller Baseball shirts are now available. They are great quality shirts and the softest you can find. You won’t want to take it off. As seen above on Tony Mandarich They are available online and at the clinics. Available in three colors. Members of Chad Moeller Baseball gain access to my Hitting and Catching Instructional Videos and drills. These are step by step instructional videos on hitting and catching only members can view these videos. New video released every month or month and half. I have added two of the twelve videos on the mental side of the game with Dr. Ken Ravizza sports physiologist. Watch them as often as you like for lesson than $10 per month. Or subscribe for a year and pay just over $6 a month. Take advantage of the summer special. Price will only last for one more month. Let me analyze your swing of catching frame by frame and let me show you what needs to be fixed and corrected. 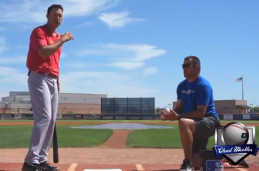 You will receive a video back from me showing what needs to be fixed as well as see yourself side by side one of the great hitters in the MLB. The art of hitting a baseball frustrated me for most of my life. This love affair gives you enough, to keep you coming back. You practice and practice and it feels great and then we leave batting practice or the cage and “it” is gone. “In the cage my swing feels great and then the game starts and it’s all out the door.” Absolute confidence and then nothing, why does this happen? There are many different answers to this question and all may have validity. I have settled on several that I found to be key reasons. The velocity of the game pitcher plays a huge role. In most cases, batting practice obviously does not look the same as what you will face in the game. 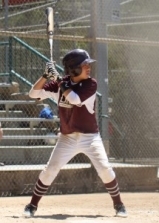 Every month, I feature one of my students or clinic attendees who have excelled by showing determination, motivation, and a desire to learn the intricacies of the game of baseball. Copyright © 2012 Chad Moeller Baseball, All rights reserved.